Rich contact information can please website visitors and boost a company’s reputation for transparency. Scott Payton visits eight corporate sites that make it exceptionally easy to get in touch. Dutch research organization TNO has a search tool on its global website that allows users to find the contact details of all of its researchers as well as other employees. A set of filters in the left column allows users to search for people by theme – such as ‘Traffic & Transport’ and ‘Information & Communication Technology’ – and by function, including press and human resources. Details for each employee include a photo – which itself sends a message of openness – as well as phone number, email and sometimes LinkedIn profile. The impression all this creates is of an extremely open and accessible organization that is confident about engaging with the outside world. Another ‘knowledge’-focused organization, Dutch professional services firm KPMG, also makes it usually easy for website visitors to find the contact details of a relevant in-house expert. On the ‘Contact’ page of KPMG’s global site, a simple set of dropdown menus invites users to drill down by country, then service (audit, advisory, etc), and industry. The names and titles of relevant contacts then appear, with links to an email form for each, plus signposts to deeper contact pages for each expert, housing biography, phone number and other useful information. The page has clear routes to global and local contact information for a wealth of audience groups – including partners and suppliers as well as jobseekers, patients, potential whistle-blowers, and others. 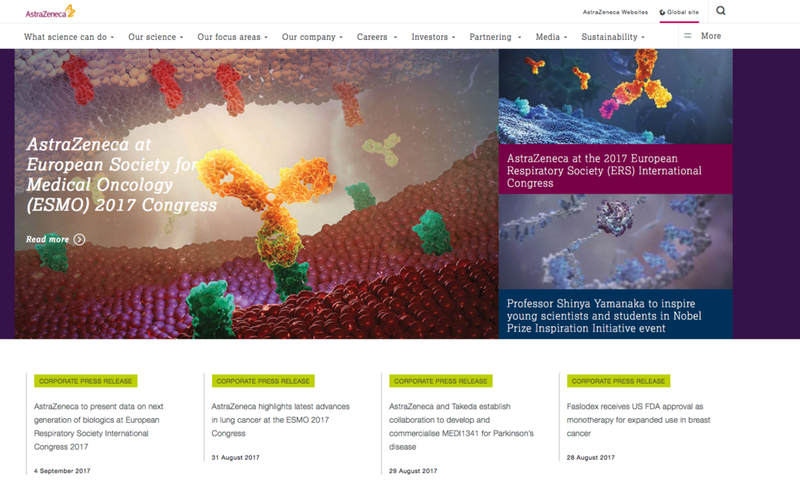 Links to GSK’s presence on Facebook and Twitter are also included on the page – which makes sense, because these are contact points, too. Look out for the new Explain Yourself Index 2019 - US Edition, to be published on February 13th. The Explain Yourself Index is the world’s most rigorous assessment of companies’ use of online channels to explain who they are, what they do – and why they are a force for good in the world. For more information and to be sent a copy of the research when it is published, contact Dan Drury ddrury@bowencraggs.com. Who's top for what in the 2018 Bowen Craggs Index? Scott Payton looks beyond the overall top-scorers to reveal the world's best companies in specific areas of online corporate communications. Last week we published our latest ranking of the globe's top 30 large companies for online communications – the 2018 Bowen Craggs Index. (See also a Forbes magazine story on the Index results). To produce this list, we spent thousands of hours analysing the online estates of more than 200 of the biggest multinational companies – and wrote up best practice every time we found it. Subscribers to our database can learn from everything we've discovered across eight metrics and 26 sub-metrics. But here are the companies that came top in each of the eight key areas that we examine. Interestingly, the very best firms in some aspects of online communications are outside the overall top 30. 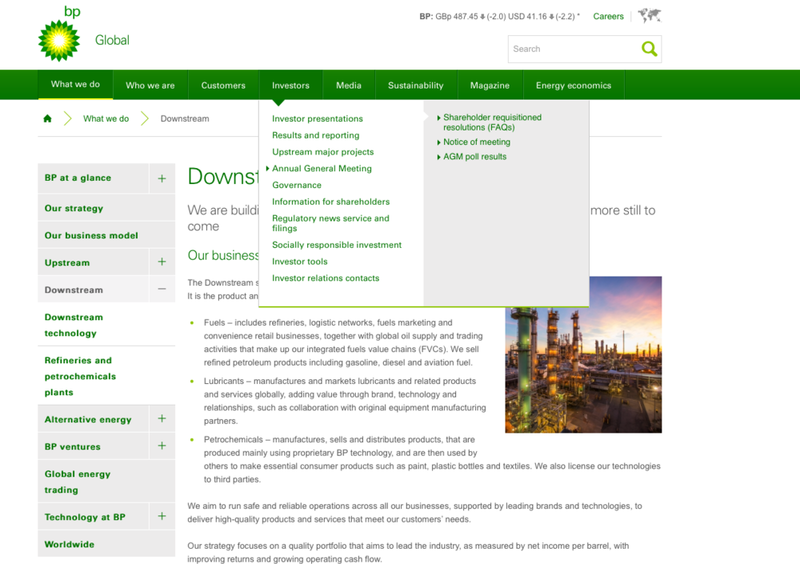 BP's global website is most notable for its excellent usability, which comes largely from a refusal to drop left menus. This makes BP’s site much easier to use than most other corporate sites, with no real loss in visual appeal. Maersk's global site continues to set standards in design. It is also editorially rich, with good use of 'stories' to convey key corporate messages. 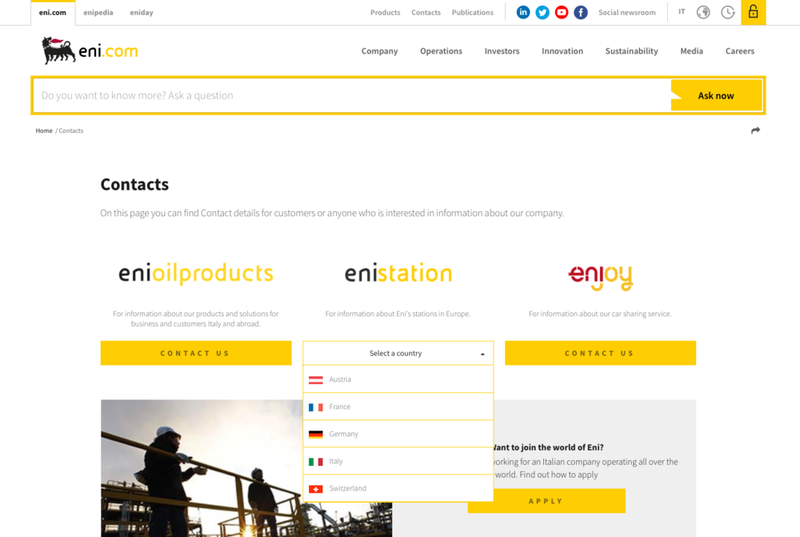 Eni has made an already strong Contacts page stronger through design enhancements and new options for key stakeholder groups. The company's ambitious Ask Now search facility appears to perform well as a substitute for conventional FAQs, though there are caveats. GSK - the top company overall in the 2018 Bowen Craggs Index - has a model global 'Contact us' page. It features clear language and comprehensive signposts, including simple but significant links to Facebook and Twitter. 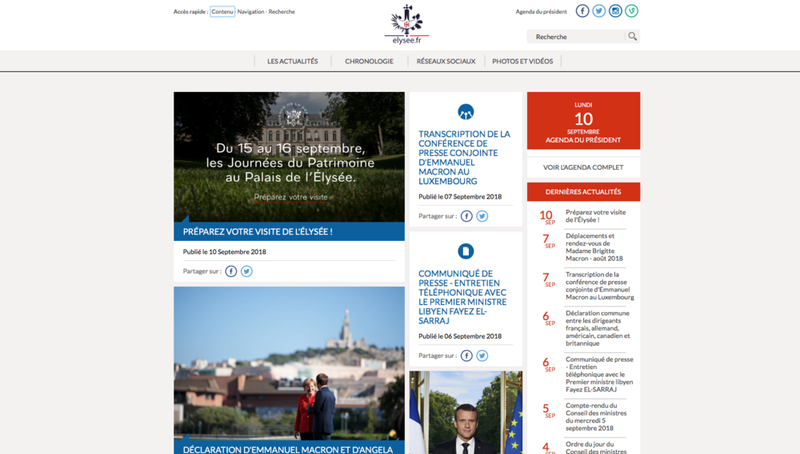 Nestlé continues to sharpen its approach to handling stakeholder contact, both on its main website and on social media. Contact options are unusually prominent thanks to boldly colourful signposts throughout the site, signalling openness to dialogue (and perhaps helping to change people's perceptions of a company many people once considered to be secretive). As well as providing invitingly presented, comprehensive governance information and extensive CSR reporting data, Nestlé openly and energetically addresses controversies and criticisms on its global website, most notably via the Ask Nestlé primary section. Shell's recently redesigned Investors section houses exceptionally rich materials covering not just financial results, but all aspects of the business in which investors and analysts are likely to be interested, from major projects to company strategy. Weaknesses elsewhere on Starbucks' online estate pull it significantly short of our overall top 30. But its online provisions for journalists shine. Powerful press release search tools; comprehensive, regularly updated fact sheets; and an exceptionally deep image library are among the stand-out features. Like Starbucks, BNP Paribas is not in our overall top 30. But it is among the top performers for serving jobseekers. An impressively smooth global job search tool; stylish material that effectively sells the company as workplace; and imaginative use of multimedia are among the highlights. 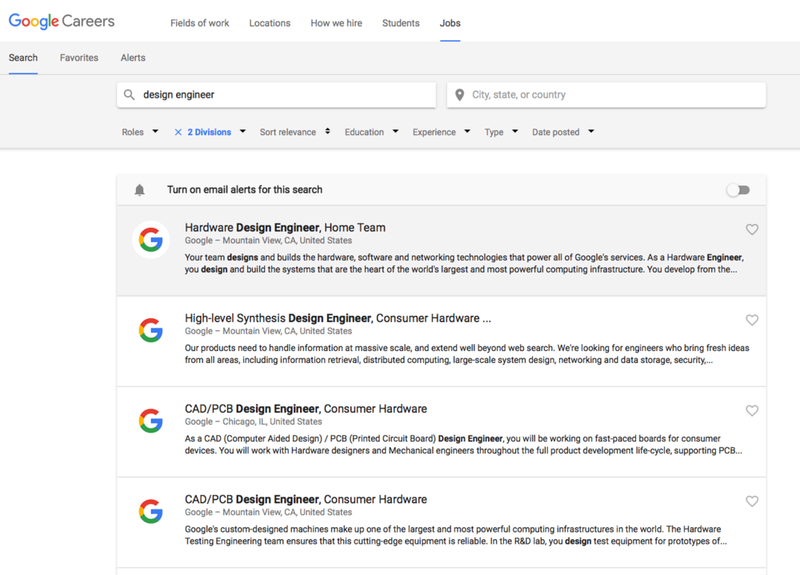 Another firm from outside our overall top 30, Google has designed its own job search tool. As one might expect, it's powerful, easy to use and full of clever features. GSK makes excellent use of employee profiles and stories to show jobseekers what working at the company is like. The company's innovative and welcoming new job finder tool attempts to redefine what the corporate job search can look like - mostly successfully. Verizon's simple but effective job search tool has a useful and unusual browse feature, which offers candidates a variety of ways to find suitable vacancies. Military recruitment material remains another strength, as does a Locations directory. Just outside of our overall top 30, Microsoft is the best of them all for serving customers. Indeed, the company's main website site is all about consumer journeys and the home page offers multiple paths to relevant content. Journeys are smooth and integrated, in marked contrast to corporate journeys. Decision-making materials for customers are also strong, from FAQs to videos, case studies and integrated forums. Please visit our website for full results of the Index of Online Excellence 2018, including commentary, lessons from the leaders, best practice and methodology. Scott Payton answers IR managers' questions about their online communications. My colleague Dan Drury went to Florida last month to give a presentation at the National Investor Relations Institute’s annual conference. The topic was best practice in online investor communications. Whether you decide to build your IR section in house or via an agency, what’s most important is to keep the management of it tightly under your control. This includes making all the big decisions on how the section is structured; how it looks; and what information and tools it should contain. Moreover, many investors and analysts are likely to want to venture beyond the IR section to other parts of your corporate site – the About Us and News sections, for example. So it’s important that your IR section is built and managed as a coherent and integral part of your entire online corporate presence – not on its own. Though it may be hard to avoid if your budget is small, outsourcing your entire online IR presence to a third party without tightly tailoring it to be consistent with the rest of your corporate web estate risks causing problems and frustrations for your IR team, and for the investors and analysts who use it. Our surveys and interviews strongly suggest that most private investors prefer PDF annual reports to HTML versions. Many private investors tend to read these PDFs on screen rather than printing them out, so adding hyperlinks in the contents page and elsewhere can make PDF reports quicker and easier to use. HTML reports can make sense if they provide information and tools above and beyond what’s possible to provide in a PDF. This could include video interviews with the CEO, or interactive charting tools. But many companies have concluded that the costs involved in producing this kind of whizzy HTML annual report outweigh the benefits. Indeed, interactive charting tools and video interviews are likely to have a longer shelf life, and reach a wider audience, if they’re put in the IR section itself rather than in an online annual report. Yes. Analysts have told us that they appreciate it when companies’ results archives include transcripts of results presentations or calls – because they can quickly scan through them to find what they need without the bother of listening to or watching the webcast. Providing interactive data tables and tools in your corporate website’s IR section is indeed likely to be appreciated by sophisticated private investors, who have the expertise to interrogate and interpret such information but lack the access to professional data sources (such as Bloomberg) used by professional investment analysts. Most private investors are unlikely to have the know-how to benefit from such tools, however. So they’re a ‘nice to have’ rather than a ‘must have’ feature. First, having a separate IR website rather than an integrated IR section in the main corporate site is not a good idea. It makes journeys between IR material and other types of corporate information in which investors and analysts may be interested intrinsically more fragmented than they could be. Indeed, Bowen Craggs’ extensive website visitor survey data shows that 26% of investors and analysts visiting a corporate site do so to find out about the company, rather than to get financial information (see more on these survey findings in the report mentioned at the end of this article). 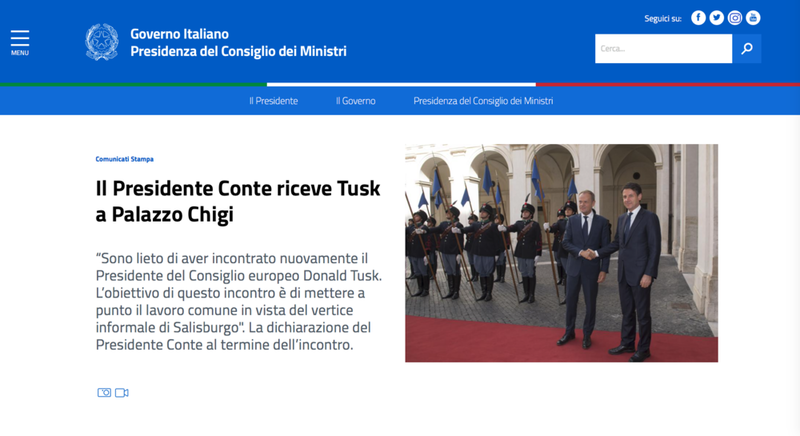 In light of this, consistency of look, feel and, crucially, navigation as well as content between IR pages and the rest of the corporate web presence is indeed very important. That said, some companies have built separate IR sites for internal political reasons that are not easily overcome. In these cases, it is particularly important to maintain prominent cross links between the IR site and investor-relevant information on the main site (such as executive biographies and non-financial performance data), so investors and analysts can find and reach everything they need as easily as possible. SlideShare does for slide decks what YouTube does for video. Embedding SlideShare versions of your presentations in your IR section allows investors and analysts to flick through the slide deck directly on the web page, rather than having to download a PDF first. Convenient. No. Many companies that have tried this soon discovered that the cost and time involved in maintaining the app far outweighed the benefits the app brings to investors and analysts – especially in cases where the IR section of the website is mobile-friendly anyway. The fundamental ingredients of an effective IR section have changed little over the past decade – an aggregated table of results materials; well-signposted IR contact information; jargon-free information for private investors; rich background material for researching analysts; and so on. But companies have felt the need to rebuild their sites for other, legitimate reasons. For example, the desire to make IR pages, and the rest of a corporate site, mobile friendly has been a big driver for site rebuilds in recent years (much to the delight of web design agencies). Wanting to make a site look visually contemporary, and able to handle embedded video and other multimedia material, has been another motivator. With all this in mind, an IR section will last for as long as it continues to do a good job of meeting the needs of the fund managers, analysts and private investors you want to communicate with, on the devices they want to use – and continues to allow you transmit the messages about your company that you want to convey to these audiences. Perhaps the most important thing of all is not how often you rebuild your IR section, but how carefully you maintain what you’ve already got. Click here to visit the download page for our freshly revised and updated report, ‘Best practice in online investor relations: Lessons from the top companies in the world’.